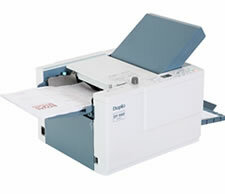 The DF-980 is the quietest tabletop folder in its class, making it ideal for operation in office environments. It can handle a wide range of paper sizes and stocks with superb reliability, almost eliminating bothersome misfeeds, jams and double feeds. 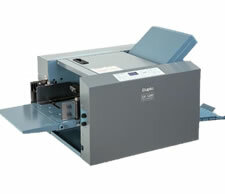 The DF-1200 uses unique suction technology to move paper with remarkable ease and reliability. Designed especially for in-house digital color printing, the DF-1200 is a great choice for high-volume office, commercial or on-demand printing situations.